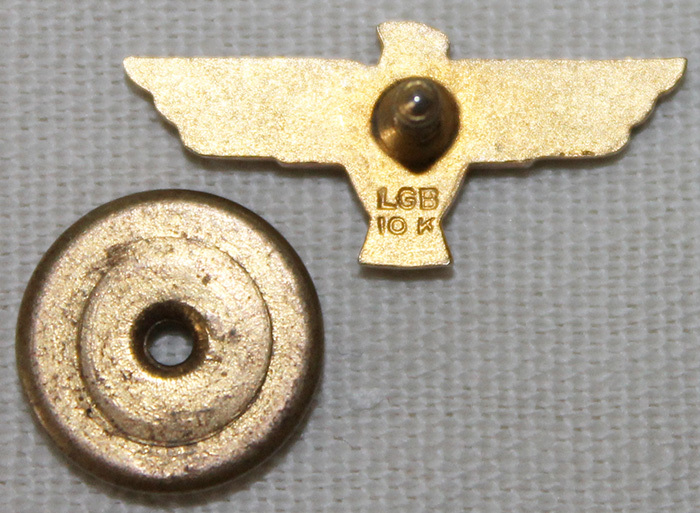 ARTIFACT: 1930�s � early WWII 10K gold Fleetwings Aircraft Corporation 5 year service pin. Fleetwings existed until the 1960�s after being established in 1926. In 1929, the company was reorganized and moved to New York and began researching and developing stainless-steel aircraft structures and components for other manufacturers of aircraft including the Ireland "Privateer" and Grover Loening Aircraft Co. In 1943, it became Kaiser-Fleetwings and entered its XBTK-1 model aircraft in a United States Navy attack aircraft competition, with five aircraft being flown. Kaiser-Fleetwings did not win, the contract went to the Douglas AD-1 Skyraider and the Martin AM Mauler. In the early 1960�s just prior to closing, the company manufactured the launch canister for the Echo 1 balloon satellite. The 10K gold pin is shaped like a spread winged eagle facing the viewer�s left and reads: �FLEETWINGS� across its chest and just below features a black enameled triangle that shows the number �5�. 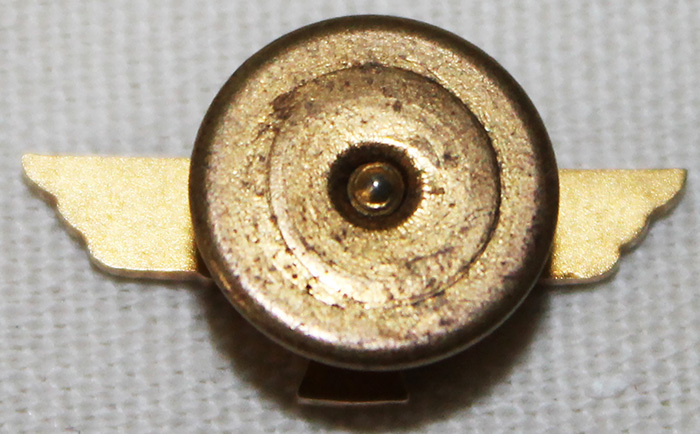 CONDITION: 8 (Excellent-): The pin shows minor to moderate wear, nearly all the gilt brass and enamel details remain.